Social anxiety could give you a shameful feeling, and if you’re not aware, a lot of people are also suffering from it. Fortunately, overcoming social anxiety is possible, and you don’t need to deal with it forever. Here are some steps that would help you face people with confidence, even when you’re socially anxious. 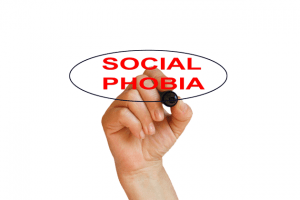 The first move when it comes to overcoming social anxiety would be to know the cause of your social phobia. Knowing this will help you find ways on how to overcome it. Likewise, even when you feel that there’s no rhyme or reason behind your fear, it’s best to discover the cause of it. For instance, do you feel anxious when you walk into the office, class, or lunch room? There’s a possibility that certain people, such as your coworkers, boss, or classmates trigger your anxiety issues, especially when they are surrounding you. Pay attention to these moments. Take a social anxiety test here. Now that you’ve figured out the main cause of your social phobia recognize the enormous possibility that you only see things negatively. Most of the time, social phobia could be the result of thinking that everyone around you is judging you– the way you look, talk, and everything else. If you’re one of those people who’s always bothered about what others may be thinking about them, realize that most people don’t care about you or what you may be thinking. Try to imagine this: you live in a house for nearly three decades, but you’ve always avoided one room. After some time, you’ve changed your mind and visit that place– naturally, you’ll feel a little tensed and anxious the first time you do it. Why? The more we try to avoid something or someone, the more we send the message to our subconscious mind that it’s dangerous, and we should avoid it. Thus, your mind would try to be helpful and increase that fear even more to protect you. However, once you face that fear, such as putting yourself in social situations, your mind would help you realize that this is entirely normal, and there’s no reason why you should be afraid. Over time you will get better at overcoming social anxiety and will feel more at ease as you go about your daily life. People who are socially anxious usually focus on their thoughts and feelings. Based on research, individuals who consider themselves shy in social settings usually have difficulties in recalling external details of the environment, because their focus is internal, rather than external. It makes sense. The more you focus outward, the more it’ll lessen your anxiety levels. For example, when you’re in public, try to make a mental note, such as, what people are wearing or the weather. Doing this may seem a bit odd, but it would help you focus away from yourself, and your surroundings. Often, those who have social phobia pay lots of attention to what other people think of them, instead of just plainly focusing on them. When it comes to battling your social anxiety issues, it’s advisable to cultivate curiosity. Try your best to ask questions that could spark a conversation. Also, make it a point that you’ll remember the details, and mention it later. Doing this would show that you’re listening and interested in what they have to say. Again, try to focus outward, rather than inward. Who knows, you might accidentally make more friends using this strategy. The key is, to overcome social anxiety, you must learn new stuff, aside from stopping your old habits. Yes, your imagination could be an excellent tool– if used in the right way. However, if you’re using it to scare yourself, just like using a hammer to wash the dishes, that wouldn’t do any good. Often, we try to imagine what people are thinking of us, and that’s a big no-no. If you catch yourself ‘mind-reading,’ then it’s ideal to remind yourself that you don’t know what they’re thinking right now, or if it’s something about you. We could influence what others think of us, but it’s impossible to control it. Likewise, as you become more confident, you’ll start caring less about their opinions. In case that you’ve said something stupid or ridiculous, don’t sweat. Everyone does it, even the smartest bunch. Try listening to what other people say, and you’ll realize that they also commit some mistakes. Often, the people you meet would pay attention to the good things you do, or the good qualities you have, and they often ignore the bad ones. Those who would try to pick your flaws, usually have low self-esteem, and they just want to feel better about themselves. If you’re not aware, developing your communication skills through public speaking could help you overcome your social anxiety issues. By doing this, you’ll have the chance to practice standing up in front of a crowd, allowing you to face your fears. Your battle against social anxiety could be a lifelong process that requires willpower, focus, and determination. Keep in mind that it’s impossible to cure social anxiety overnight, so the key is to stay motivated. Try to set a specific goal that would allow you to stay focused. Keep in mind that each one of us has a set of people that doesn’t like them, even the popular kids. However, those who use this to their advantage could stand out from the crowd, instead of hiding within the crowd. Lastly, if it seems like it’s already a serious problem, it’s necessary to seek professional help. Overall, overcoming social anxiety could lead to a positive change in your life. However, no need to rush; you could do it by taking one small step at a time. The key is, start with a situation that you could handle, and gradually work your way up to something that’s more challenging. Doing this would allow you to build confidence and have the necessary skills to move up to the next level while dissolving your fears. For instance, if socializing with strangers, makes you feel uneasy, start by accompanying a friend. As you get comfortable, you could try moving on and try introducing yourself to a whole new set of people. Don’t be afraid and have faith in yourself.